Office 365 and Microsoft Dynamics CRM Online Bundle is available. Are you an Office 365 user? Microsoft Dynamics CRM Online can help you to get ahead of the competition. 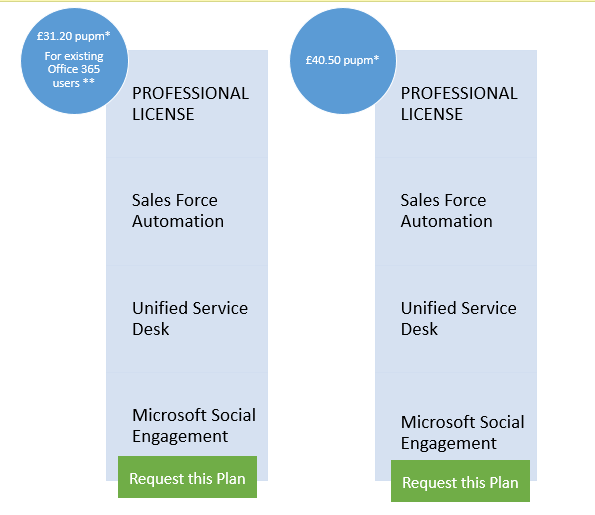 Check out the Office 365 and Microsoft Dynamics CRM Online bundle. Do you want to deepen your customer knowledge? Do you want to drive customer loyalty and sell more? Do you want to improve team productivity? 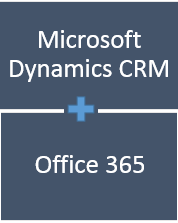 Microsoft Dynamics CRM Online extends the productiveness of your Office 365. It will help you to manage your sales pipeline, provide great service to your customers and expand customer understanding, making it a low-cost compliment to Microsoft Office 365 / Outlook. Microsoft Dynamics CRM Online extends Office 365 and works with familiar systems like Outlook and Excel. Microsoft Dynamics CRM Online gives you visibility into your client data within a few weeks, so you know when someone last purchased, if they have stopped buying from you or perhaps you want to cross sell or up sell. Microsoft Dynamics CRM Online is an award winning CRM solution which will really extend Office 365. It offers a secure, cloud based platform you can rely on. What better way to extend your Office 365, with seamless Outlook and Microsoft CRM. 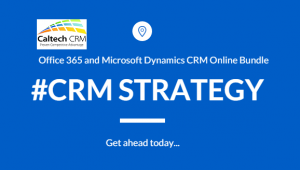 Office 365 and Microsoft Dynamics CRM Online offers a comprehensive business tool to revolutionize your business. To find out more about Office 365 and Microsoft Dynamics CRM Online, email George@caltech.co.uk. As CRM consultants we can take the pain from your CRM implementation and ensure that Microsoft Dynamics CRM is set up to work for you and get those benefits from extending Office 365. For insight into how we can help you to get the most from CRM see our case studies and check out how we helped businesses just like yours to get improve team productivity and drive customer loyalty. Already using a CRM solution? This entry was posted in CRM Cloud by Catherine. Bookmark the permalink.